Charlize Theron with her tan Prada bag. Kate Mara is a proud owner not only of a regular sized Prada Bag, but she seems to love Prada enough to buy their duffle bag for travel too. Diane Kruger seems to love her Prada bag so much it seems like she never leaves the house without it. Famke Janssen takes her mint blue Prada Saffiano Gardener’s Tote on a pet walk. 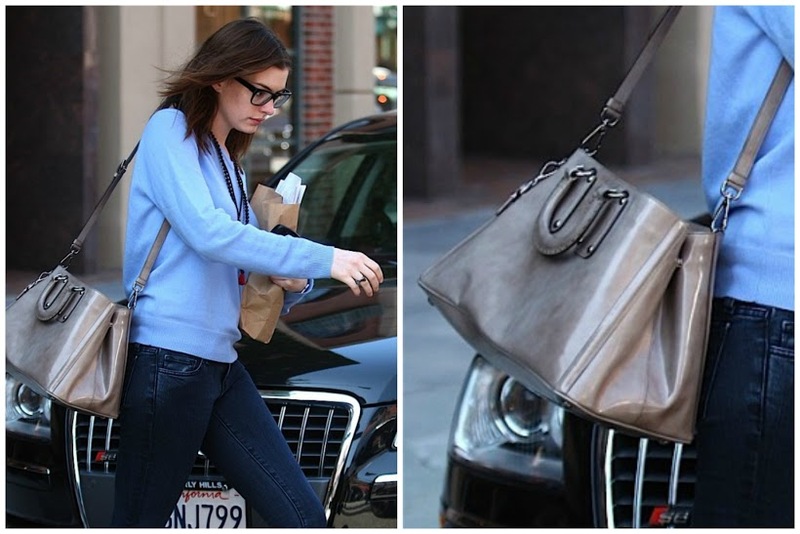 Lily Collins seems to like this particular Prada bag design so much she’s bought it in a few shades. Mary-Kate Olsen, the queen of shabby chic herself, and her favorite Prada Napa Fringe Tote. Jessica Alba can wear both a classic black Prada bag with style and make the funky patterned one work with ease. 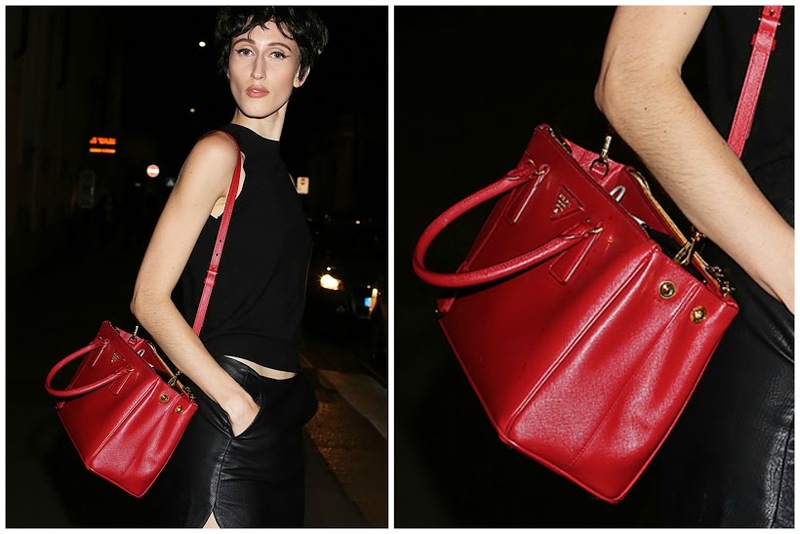 Anna Cleveland with her awesome looking Prada Galleria bag. Lily Allen clearly loves patterns and fun bags. Here she is with a flowery Prada bag and, as you can see, she also owns the striped Prada tote bag. Miranda Kerr also loves Prada bags in all shapes and forms. She’s seems to have a Prada bag for every occasion. Chiara Ferragni with a Prada Micro bag that still cost a fortune, but can barely fit a cell phone. Emma Watson and her tote bag are living proof that sometimes Prada makes non-leather bags. 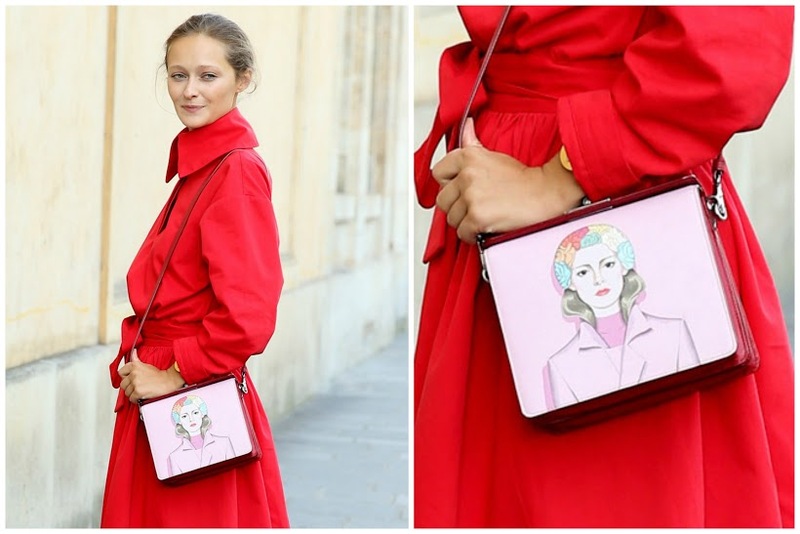 Daria Shapovalova with a unique Prada Face shoulder bag. 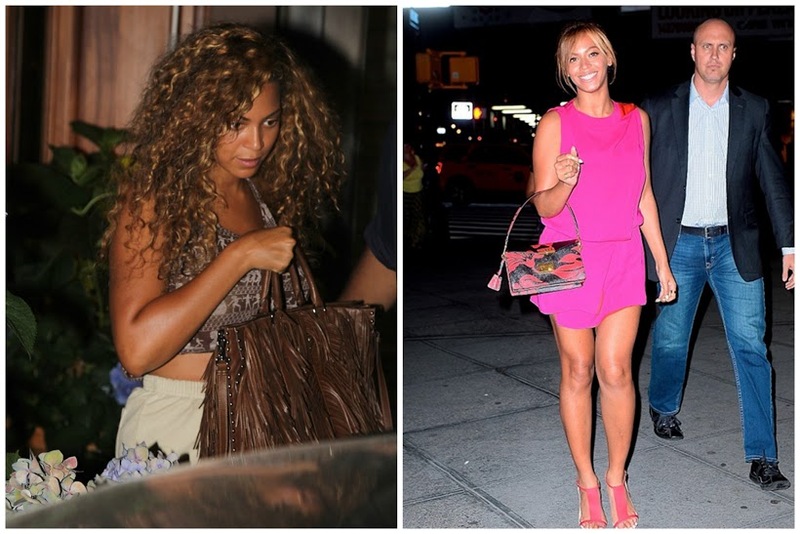 Beyonce, being the Queen B she is, obviously has a couple of Prada bags too. Here you can see her Prada fringe bag and a little Prada Saffiano Hibiscus bag. Rihanna sticks with Prada bags through the years. You can see by her hair that these pictures are years apart, yet she’s always got a Prada bag on her arm. Sofia Vergara is probably a Prada bag mega-fan. She seems to have an endless supply of Prada bags, perfect for every outfit. Uma Thurman is also quite a fan. Here’s two of her prada bags. A classic black and a subtle dark green.